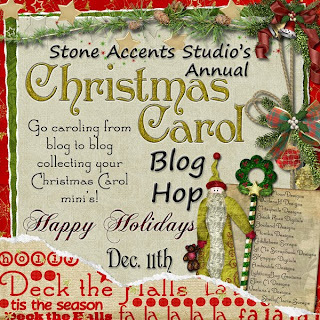 Black Rose Digitals: Christmas Carol blog hop has arrived! Christmas Carol blog hop has arrived! And now for my part! Sorry, this freebie has expired. Look for the kit in the store! I love this, Heidi - so adorable! TFS. Thank you so much for this Freebie. I want to let you know that I posted a link to your blog in CBH Digital Scrapbooking Freebies, under the Page 2 post on Dec. 11, 2009. Thanks again. These characters are so cute -- can't wait to download and check out your kit up close! Thanks so much for creating and sharing! Many thanks for your generosity! Away in a Manger is one of my favorite carols. I'm looking forward to using your adorable kit! Love your choice of Carol and Kit! THere are so few nativity kits available. Thank you, my grandchildren are in a Nativity play on Sunday, this will be perfect. This is adorable! Thanks so much for sharing it! Merry Christmas! What a beautiful kit!! Thanks so much! Thanks for the cute kit. Beautiful kit, love it all,thank you! Thank you so very much! Merry Christmas! This is really cute, thank you so much! Happy Holidays! Thanks for showing me, Vickie! That's a great layout! SO SO SO CUTE!! Thank you! This is so adorable!! thank you so much for sharing this wonderful kit! Merry Christmas!! Oh soooo adorable! I love the felt elements!!!!! Great job, thank you!